Yoga is the ideal companion at any stage in life, especially as we befriend our ever-changing bodies. Yoga’s gift to us is the awareness of our own body, mind, emotional heart and spirit and their strengths. 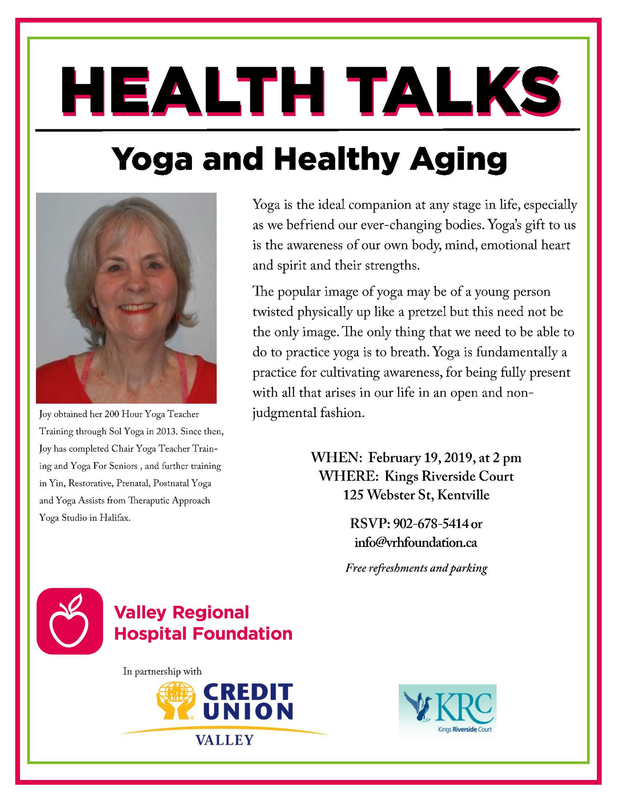 The popular image of yoga may be of a young person twisted physically up like a pretzel but this need not be the only image. The only thing that we need to be able to do to practice yoga is to breath. Yoga is fundamentally a practice for cultivating awareness, for being fully present with all that arises in our life in an open and non-judgmental fashion. 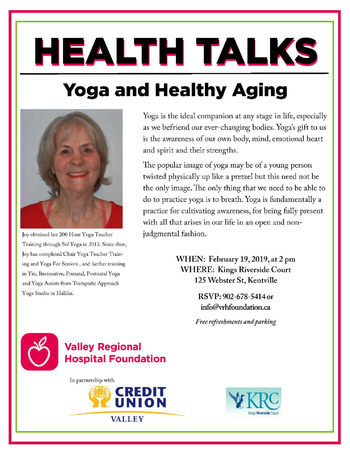 Health Talks are offered by Valley Regional Hospital Foundation in partnership with the Valley Credit Union and Kings Riverside Court.